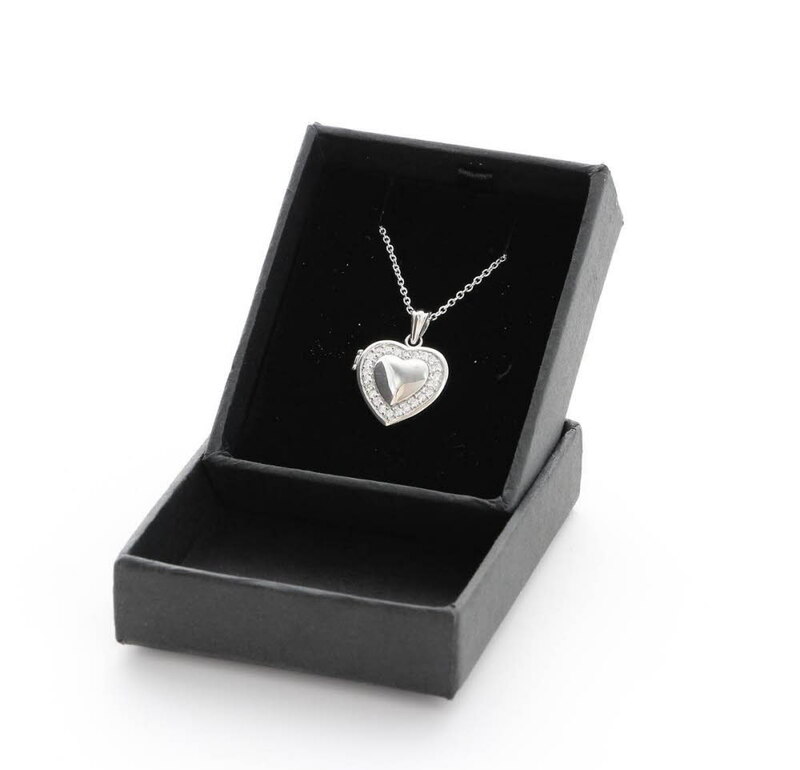 Sterling silver heart locket (.925) with Cubic Zirconia design and an 18 inch curb chain. 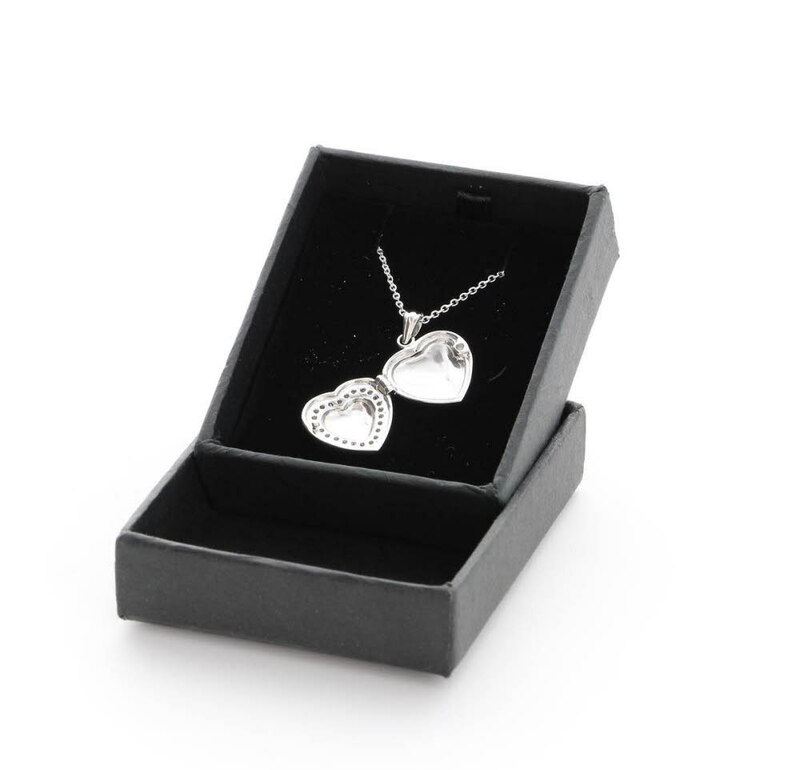 The locket measures 17mm and comes complete in a black gift box. Please limit your engraving to a name, initials or a date which will be engraved on the reverse of the locket. They make perfect Birthday, Anniversary, Mother's Day, Valentine's Day and Christmas presents.